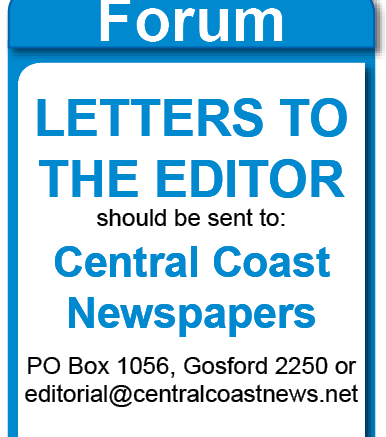 [Forum] I would like to echo the sentiments of other writers (Forum; Aug 16) on the need for politicians to respond to the concerns of their electorates, rather than currying political favour with their masters in Sydney and Canberra. Anyone can see that simply focusing on housing targets established by the State Government, will see the same development disasters that have occurred in Sydney, now visited on the Central Coast. Does the supposed revitalisation of Gosford also require unlimited building heights and unsustainable urban densities? How will overshadowing from massive buildings which destroy the natural views, increases in urban infill and clogging of arterial roads, improve the quality of life or “revitalise” the community? Our politicians need to realise that it is the local community that voted them in, to provide development decisions which will complement the beauty of this area and also provide economic opportunities from tourism for decades to come. The community can just as easily kick out of office politicians who want to support the disastrous, developer fuelled, planning decisions that have turned much of Sydney into a gridlocked nightmare.